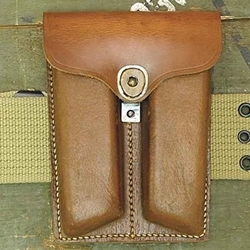 This 1911 Style Dual Mag Pouch is made from the same high quality leather as the holsters and belts with 3" wide belt loops to fit on leather and web belts. For single stack mags. Choose Black or Brown.